Hawaiian cowboys were roping doggies before their counterparts in the American West, although "rodeo" is not the first word that comes to mind when people think of the Islands. 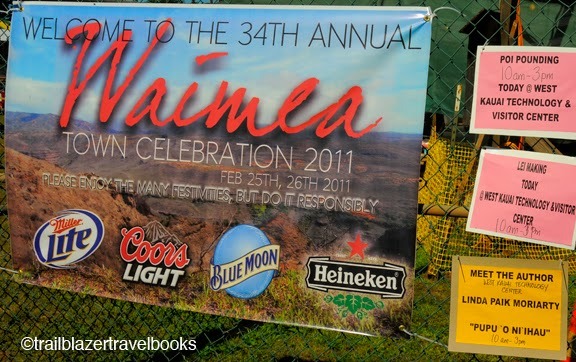 But it will be for visitors to yesterday's Waimea Town Celebration, where the cowboy competition is a major draw. 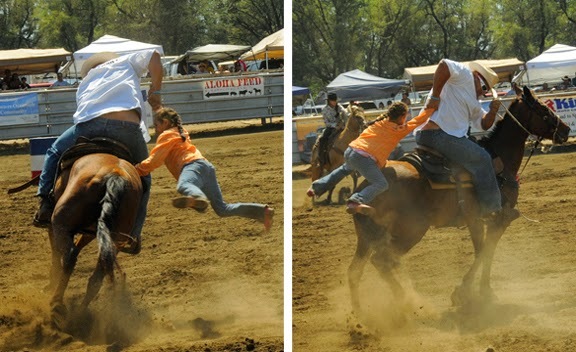 The show stopper was the rescue event, where a mounted rider circles a barrel to pick up a buddy and giddyup for home. 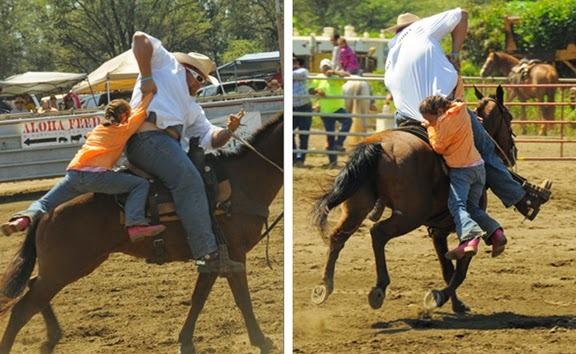 In this case the crowd gasped as the diminutive cowgirl was snatched by her uncle and swept wide of the wrong end of the horse. She was able to hang on to the finish line with the horse at a full gallop and the crowd hooting and applauding. Some of the best riders in the U.S. participate in the events, though it is mainly a reason for the town to get together and share a heritage of cowboy aloha in the far, far west. The celebration, an annual event, also includes live music in a pavilion at the old sugar mill, surrounded by crafts, gift, and food booths. 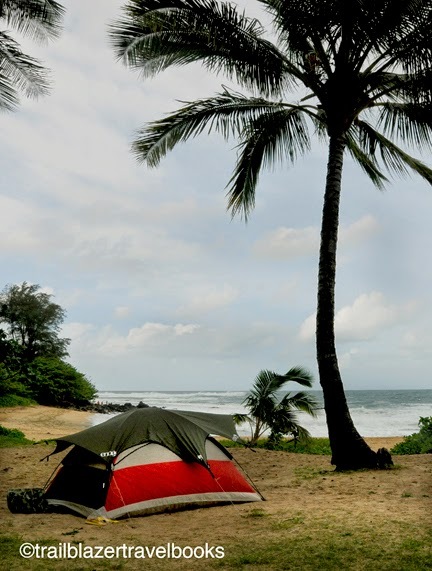 At the visitors center across the street, Hawaiians displayed cultural traditions, such as lei making, poi pounding, and Niihau necklaces which are thought by many to be the finest examples of shell artistry in the world. 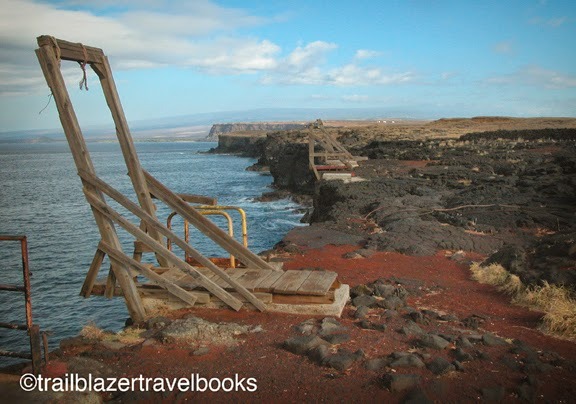 BTW: Although Parker Ranch (the nation's largest privately owned cattle operation) is in Waimea on the Big Island, this Waimea is on Kaua'i, site of British Captain James Cook's first landfall in Hawaii in the late 18C. 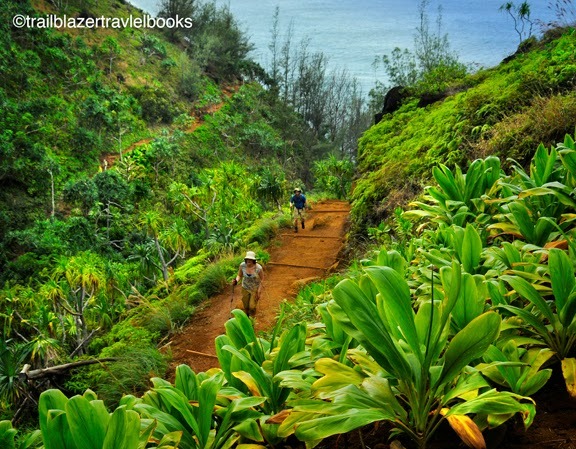 A for-real four-wheel drive road snakes down to Waipio Valley where the highway ends at an overlook on the northeast coast on the Big Island of Hawaii. But you can two-foot it down there in about 20 minutes. On the way you cross the stream near the top of Kaluahine Falls. 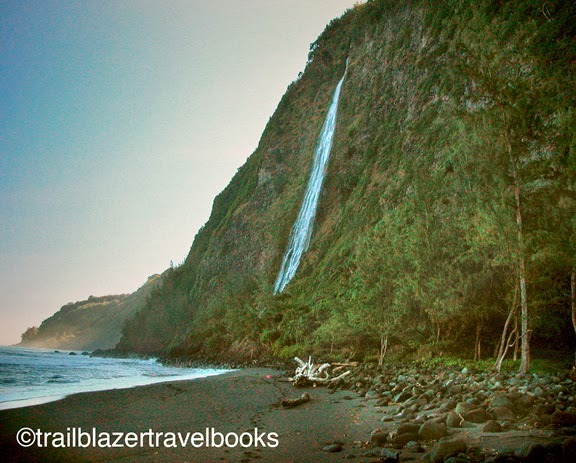 By walking to the right at Wapio's beach, you can reach the bottom of the cascade, but don't get too close, since boulders and debris can really ruin this view from below. 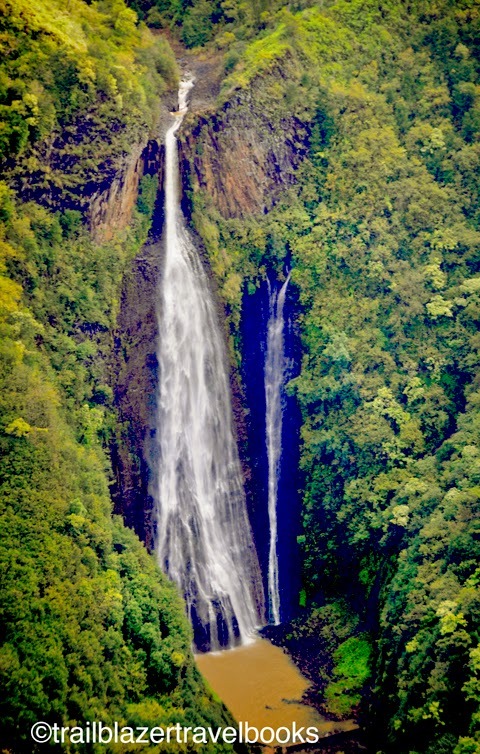 Hikers can also head into Waipio Valley to see taro fields, lagoons formed by slack waters of the stream, and other falls that lace the sheer green walls. 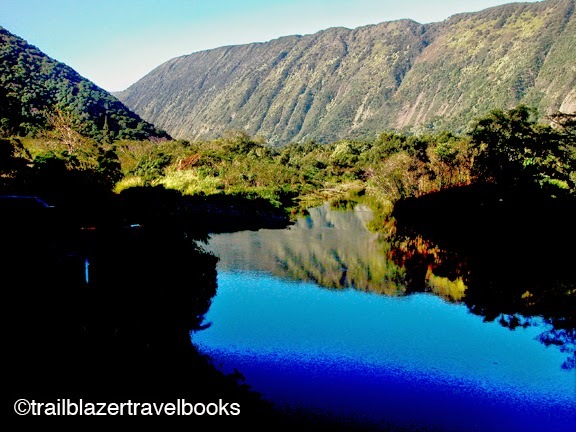 Waipio is enriched with history as well as scenic beauty. King Kamehameha I was born in this region, and used to surf here as a boy. 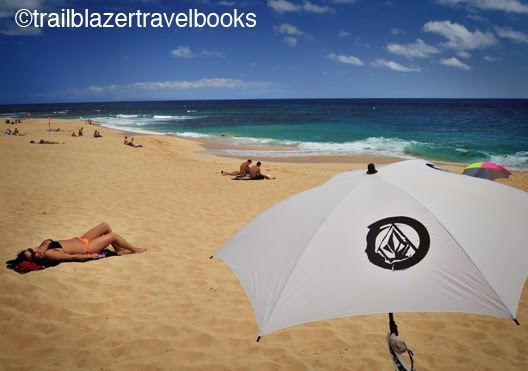 Complete directions to the beach can be found in the Hawaii The Big Island Trailblazer guidebook. 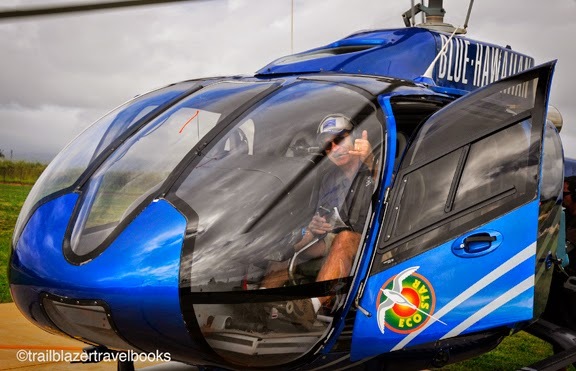 No doubt Tarzan would prefer zipline cables over his usual hanging vines to take a ride down the green gorges and ridges of the 2,500-acre Princeville Ranch on the north shore of Kauai. He would go a whole lot faster and be snugged in safe, that's for sure. 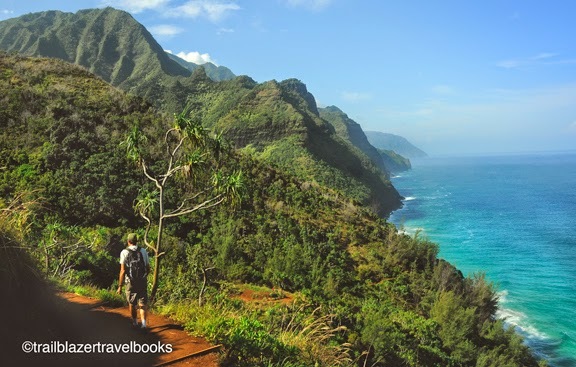 Upbeat and athletic guides give everyone an intro and fit you into double-clipped harnesses. They start you out on a baby ride to get the hang of it. You then take seven more-thrillinng rides, interconnected by short walks and footbridges, ramping up (literally) to the final King Kong—whose name speaks for itself. 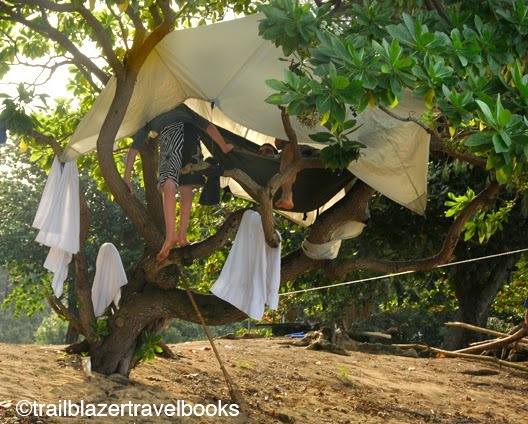 By then everyone will be ready to jump into the blue and watch the scenery whizz by. The lines do make a "zipping" noise, kind of a long hum, which adds to a soundtrack of yeehaws! and birdsong. Some seasoned zippers let it all hang out, like trapeze artists in a freefall, flying backwards with one hand securely on the harness rope. 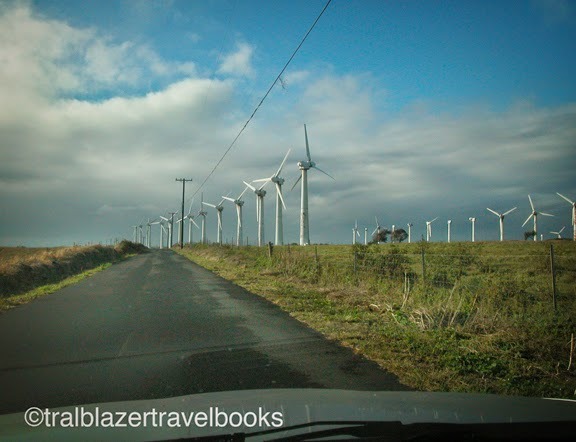 Call or email Princeville Ranch Adventures. 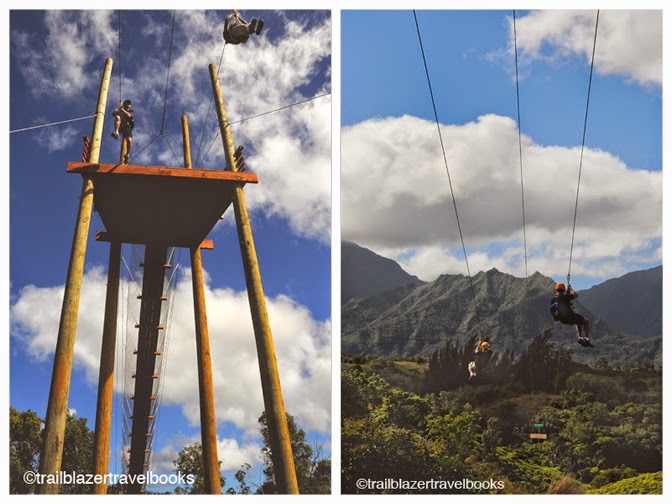 Ziplines are just one of their many adventure tours. The company is run by the Carswells, whose family have operated the ranch and riding stables for many generations. 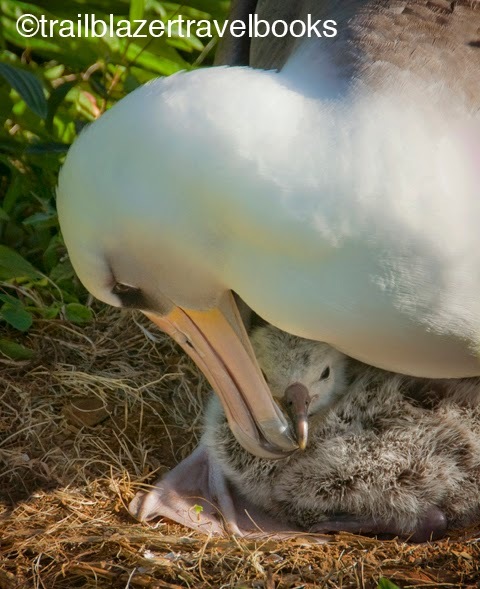 The habitat of some Laysan Albatrosses these days is the golf courses on the north shore of Kauai--and on the wild tiny islands farther north(about 130 of them) that comprise the 1,600-mile Hawaiian Archipelago. Moms birth chicks yearly, or every other year, though sometimes gay females pair up, as has been observed on Oahu. They are joined on golf courses by the Nene, the Hawaiian goose that is the endangered state bird. Nene have made a strong comeback in recent years. Laysan albatrosses live about 50 years, with wingspans more than 4 feet and standing nealy 2 feet tall. Awkward flight take-offs, waddling, and a bobbing, shuck-and-jive mating dance have earned them the nickname "gooney birds." Fledglings leave mommy after 3 years, but don't mate until 7 or 8 years. After this four-year search, they mate for life, just like the actors in romantic comedies.